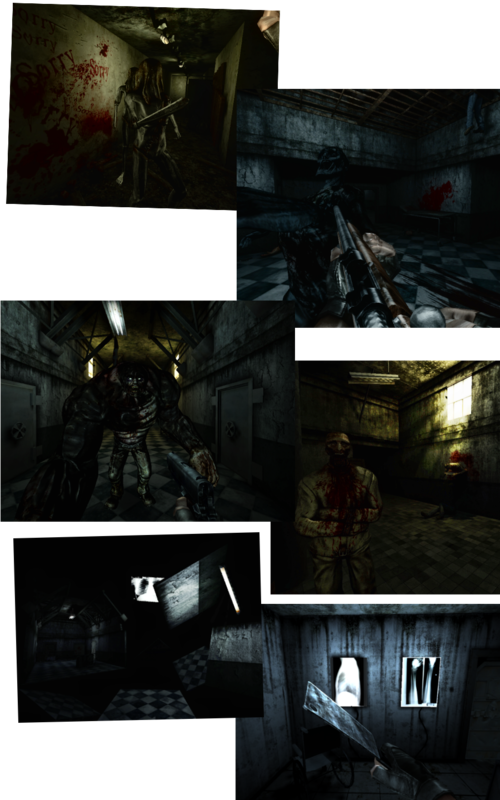 Euthanasia is a free horror themed first person shooter with puzzle and survival elements. The story line, albeit a bit crude, explores the concept of limbo and facing ones sins before being able to enter the after life. A paralyzed and depressed korean war veteran begs his psychopathic therapist for assisted suicide by lethal injection. Unable to face his plight as a lonely cripple in a wayward psychiatric hospital he chose to end it. He could not fathom that once he drifted into the abyss he would still have to face his demons, except this time quite literally. The game plays like a straightforward haunted house type shooter, except that it relies a bit more on minor puzzles and has a strong focus on atmosphere. Help Shaun Randall navigate this nightmare and defeat his fears so he may be granted entrance to the afterlife. … in that sleep of death, what dreams may come? Disclaimer: I have released this title when I was 18 and it was originally intended for a smaller audience. However, it gained some popularity and I feel that I need to point out that it has a few bugs and that, as a native german speaker, the english voice acting (recorded with an old digi cam) and the texts are subpar. (Including they / they’re type grammatical errors). Please be aware of this before testing it. Link to Video of the first Level!